Coconut and raspberry are an up and coming power couple. The combination of sharp British-grown forest fruit with the creamy sweetness of tropical coconut makes for a sublimely smooth yet enjoyably fruity vape. 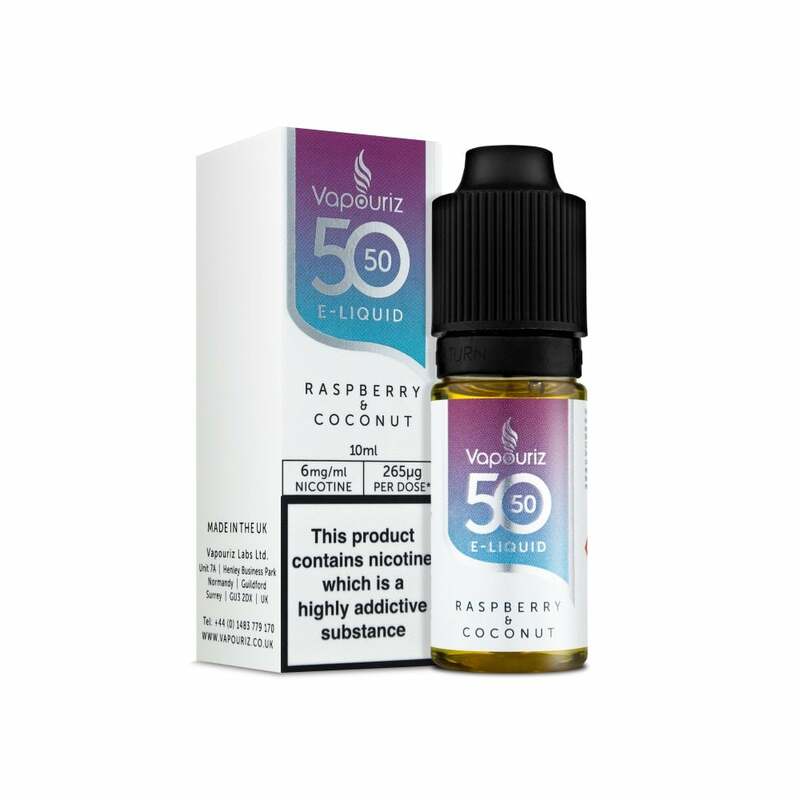 Vapouriz Raspberry & Coconut is perfect for all-day vaping. Offering great flavour and satisfying clouds, the balanced PG/VG blend found in every Vapouriz 50/50 e-liquid is ideal for use in most vape kits, including vape pens, pod mods and many box mods. Vapouriz 50/50 e-liquids come as 10ml bottles and are available in a variety of nicotine strengths.